Carol Hopper's impeccable pencil drawings focus on people and things that are often overlooked and forgotten. 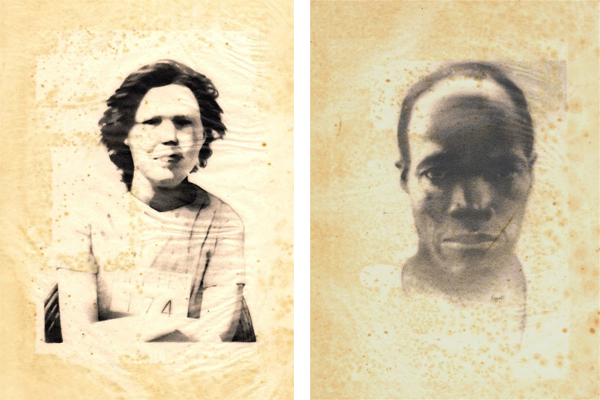 Her "Just a Number" series, is derived from vintage mug shots or prison ID photos. Her etsy shop, Fine Point Studio, is filled with many more portraits and additional, detailed information about her process. "I find the people in these photos, usually identified only by a number, intriguing because to me they serve to remind us of our humanity, fraility, and need for redemption." This original pencil drawing is Lonely Boy. 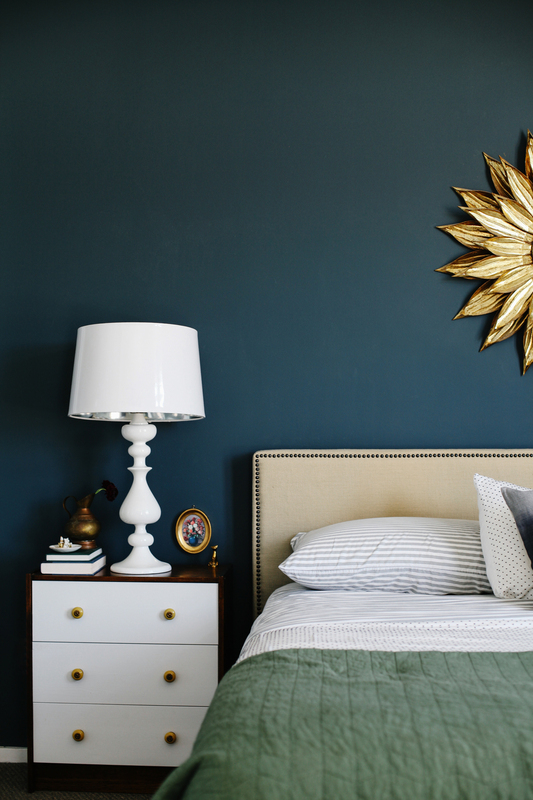 It was inspired by a circa 1920's mugshot from Santa Barbara, California. The unfortunate young man is identified only as number 376. It is drawn on a recycled tissue paper overlay from a 1926 edition of the Encyclopedia Britannica. This original pencil drawing is Denver Diptych. 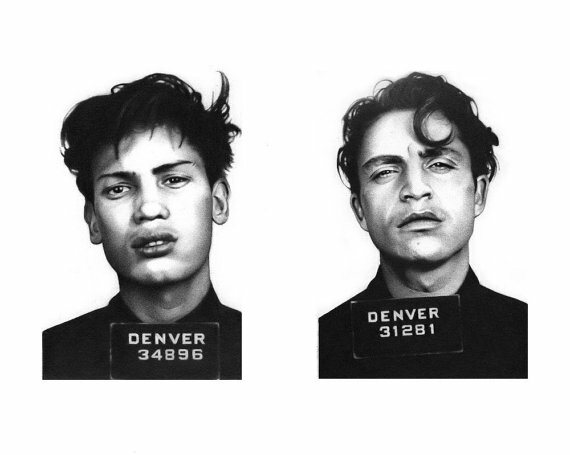 It is derived from two Denver, Colorado mugshots one from 1951 the other, 1948. These drawings are on an antique tissue paper overlay from a 1903 edition of the Encyclopedia Britannica. The tissue paper is stained and mottled from being in contact with the color print it once protected. The discolorations, wrinkles, and ripples add a wonderful character and texture to the piece. This original pencil drawing is Shine On. This piece is derived from a vintage mugshot from the Central Sydney Police Department in Sydney, Australia. 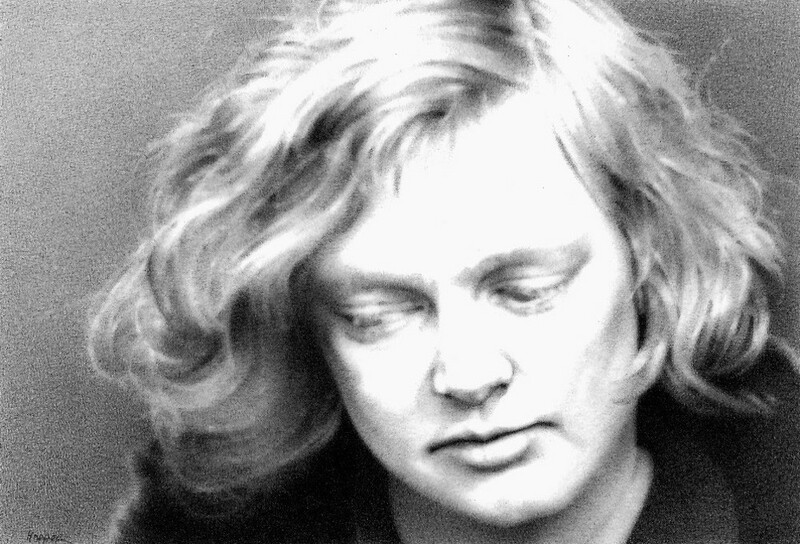 The young woman's name is Hazel McGuinness and her mugshot was taken on July 26, 1929. I find this image compelling because despite her circumstances, she carries with her a serene beauty and subtle radiance. This original pencil drawing is Street Smart. It was inspired by a 1962, Philadelphia mugshot. You just know she knows a thing or two about a thing or two. This original pencil drawing is Touch of Gray. 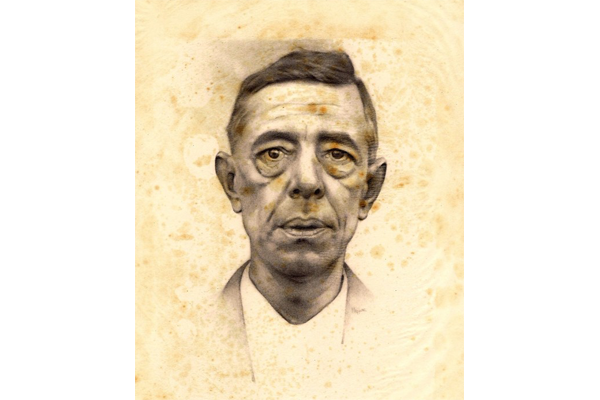 It is derived from an identification photo (discovered by Bruce Jackson) from the Arkansas State Prison taken sometime between 1915 to 1937. This world weary looking man was identified only as number 11857.